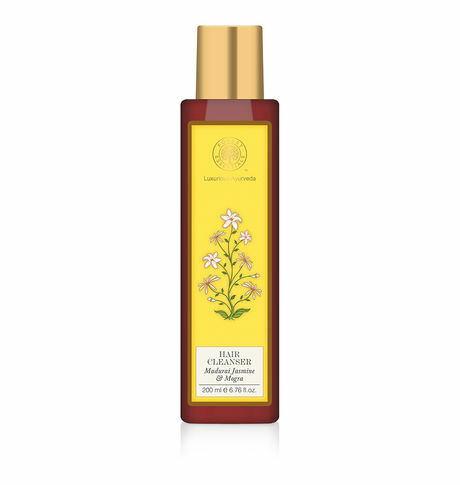 This clear shampoo contains Reetha, Soya Protein, Coconut Oil, Herbal Infusions and Jasmine & Mogra Essential Oil. Gives natural shine, swing and fragrance. Natural soap of Reetha gently cleanses the dirt and excess oil from hair. -Ingredients like Bay leaf oil and Bhringraj act as hair tonics to promote hair growth.